Let’s face it, 90% of the time when we really need a locksmith is either emergencies or moving to new home. Of course there are those occasional remaining 10% of remote guidance, key’s duplication and yearly security upgrade/maintenance but the core work of locksmiths is based on liability and trust, that’s why it’s always the safest way to choose your local locksmith. Call centers, just like a technical support outsourcing with a line to India, located all around the world, operates a scam business using Google’s search engine to falsely present themselves as an actual store nearby. These companies are known to hire freelance untrained amateurs, no-one checks for experience or even ask them for a basic background info check. The reality is the minute they receive your request it’s automatically transferred to one of the registered subcontractors, which will also receive all your info (phone number, address, age act. ), they then come over and start working on your lock- be aware. Damages were reported to doors, cylinders and property but since the company usually has no actual physical location or a valid number there’s no one to take responsibility. These scams happen more frequently in the locksmith field but also in plumbing, house painters, movers act. The best thing about your local locksmith? He’s always around when you need him. Most of the times when we call a locksmith we’re stock outside our car/home/business and don’t really have the time to wait too long, it always comes as an unannounced surprise that forces us to stand and wait, so frustrating to put your schedule in someone else’s hands. Well, if you’re in Miami Quickly Locksmith is right around the corner and can be trusted to get there as soon as possible. Maintaining an accurate response time requires hiring as many in-house trained locksmiths as needed and keeping a few on SB, just a phone call away. 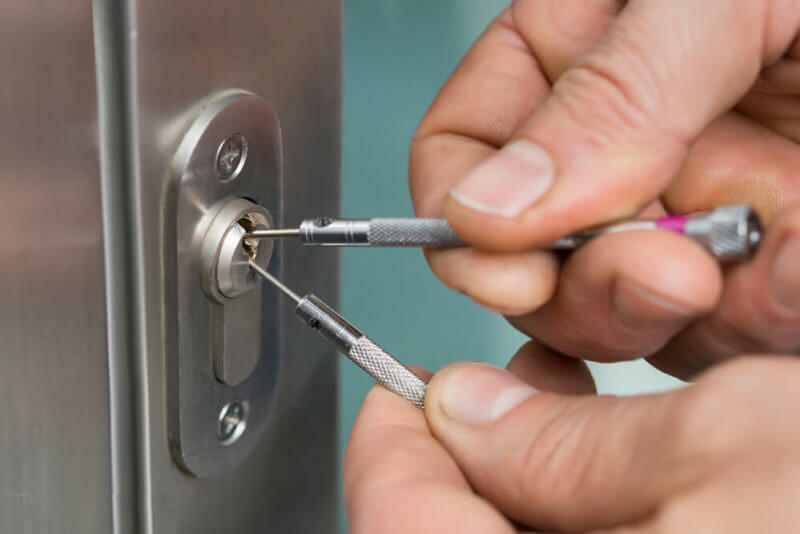 We are well aware of the severity emergencies tend to bring along whether it’s your business, your car or your home and that’s why it’s our top priority to get there first, offer quick and reliable solutions and keep our title as the local locksmith of Miami. Being the local locksmith in Miami come with its own privileges, which mainly our clients get to enjoy. In every city, every neighborhood the locals tends to develop their own security measures guidelines; some suburbs keep each yard completely gated and the fence has a smart lock system while in others they don’t even feel the need to park their cars in a locked parking lot. 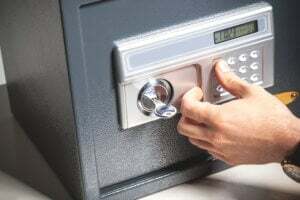 When it comes to knowing Miami local population’s security and locksmith needs we’re not only the experts, we’re the ones keeping our clients informed regarding what recommended when considering the neighborhood alongside their specific needs (commercial, residential, auto). 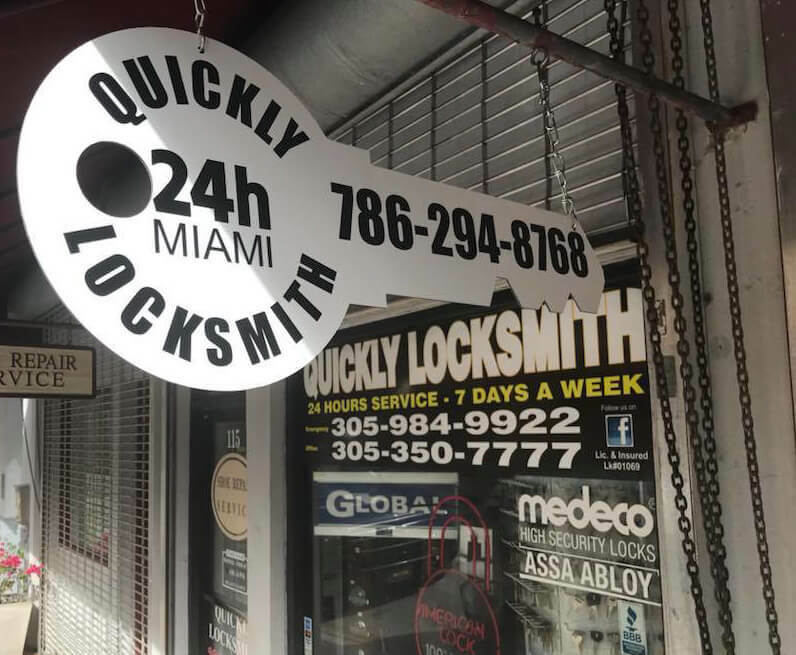 If you are in Brickell and want to stop by we invite you to our local store, Quickly Locksmith, located at 115 S. Miami Ave. Miami FL 33130 and order a free home security locksmith evaluation, duplicate keys and purchase a range of quality locks.